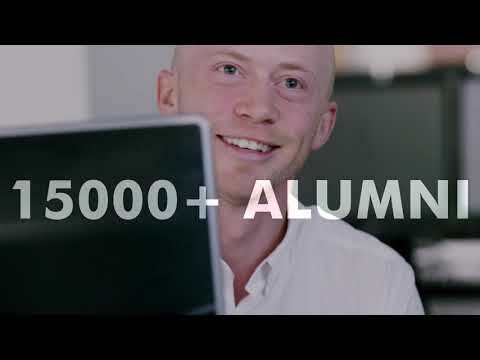 During their eight months at Rotman our students develop the skills needed to start their career. Once they graduate they become part of the wider Rotman community and part of the professional network for future graduates of the program. Hear from current Master of Financial Risk Management students by visiting our MFRM blog. "The professors are well-known, there are great alumni connections and it is the best business school in Canada." "The Risk Management Project was an unforgettable experience. It gave me a chance to learn directly form industry professionals and to develop my own solution to a real-world research challenge." "The two-month Rotman Risk Management Project was, without a doubt, the most important phase of the program. The project provided me with the opportunity to closely witness how the most recent important developments in the financial sector unfold within a large financial institution, to exercise my knowledge, develop a skill-set and evaluate my abilities and interest for a targeted career." How has the program helped your career? "I was fortunate enough to land my job right after finishing the Rotman Risk Management project. One of my first projects was similar to an assignment I had completed in the MFRM program. It is just one example of how MFRM keeps you relevant to what goes on in the real world." Why did you decide to study the Master of Financial Risk Management program? "The GRI Speaker Series and the Advisory Board provided a terrific opportunity to network with professionals and leaders in the industry." "The faculty is one of the best things about the program, we had excellent professors who not only taught their courses well, but were also interested on helping us become a better version of ourselves." Course colleagues - Coming from Sri Lanka, I understood the true value of diversity when myself and students from other countries are present in one class. Course experience - The course helped me to be stronger in both quantitative and qualitative aspects as it involves coding, report writing and presentations for assignments. This made me an all-rounder. Building a network - The program also focuses on other events which helps you to build your professional network rather than focusing only on academic learning. This would come in handy when you start to apply for jobs in your final semester. The faculty will also emphasize on the importance of networking from day one of the program." What can Canada's leading business school do for you? Applications are closed for 2019 entry. Fees are pending formal approval of the University of Toronto's Governing Council.